Copper Gutters make a real statement when it comes to the appearance, value and curb appeal of your home. Copper is a unique metal that will gracefully age with your home, adding style and elegance as the beautiful patina develops. If you're looking for a way to make your home stand out in your neighborhood, it's time to start thinking...copper gutters and downspouts. But where to start? Although it may not be your first impulse, upgrading to copper gutters will make a real impact on your home's exterior. While their durability and performance is unmatched by other gutter materials, it's their stunning appearance that will make your neighbor's head turn. First and foremost,the color of copper gutters is what makes them so unusual and so attractive. When installed, the beautiful metallic sheen of the gutter will be obvious, but over time and exposure to the elements, the copper will begin to oxidize and turn to a light bronze at first, then a darker bronze as it ages, eventually ending in a beautiful greencolor. Called patina, the final color (and the time it takes to achieve it) will vary depending on theweather conditions and overall air quality surrounding the home. 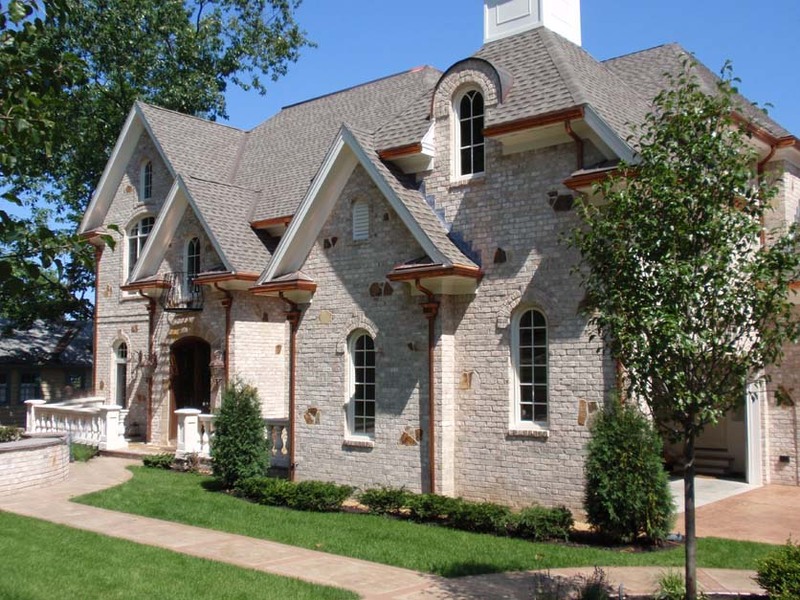 But one thing is for sure: rather than merely fulfilling a mechanical necessity, copper gutters become an elegant addition to a home's style and appearance. For the more practical minded, it's important to note the lifespan of copper gutters. When installed properly, these gutters can last anywhere from 80 to 100 years. They require no maintenance, other than the usual cleaning needed to remove debris and keep water flowing freely. You may also want to consider that because copper is completely natural and 100% recyclable, it is commonly considered a "green," environmentally friendly product. It also won't negatively impact your home's immediate environment. You can continue to use rain barrel collection from your downspouts if desired, without having to worry about what might be leaching into the water when you use it on your home garden. So whether you're interested in form or function, consider bringing a little bit of autumn's beauty and color into your home's external appearance. Take a look at copper gutters for your next home improvement project.